Wall Mounted Pelargoniums i was visiting Spain recently and marvelled at how they love their Pelargoniums there, making fabulous displays everywhere. I especially liked this idea for hanging them on the wall that I saw in Cordoba - very neat. 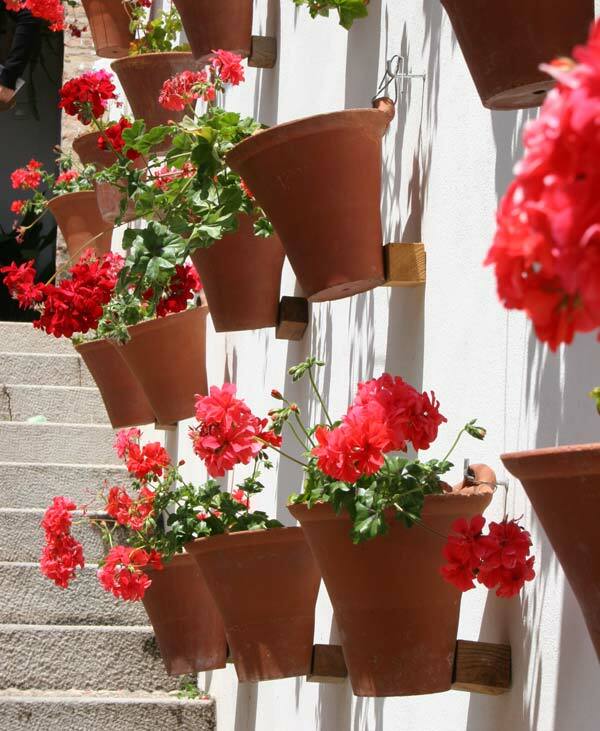 i was visiting Spain recently and marvelled at how they love their Pelargoniums there, making fabulous displays everywhere. I especially liked this idea for hanging them on the wall that I saw in Cordoba - very neat.